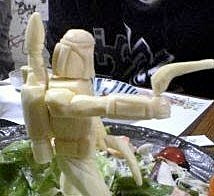 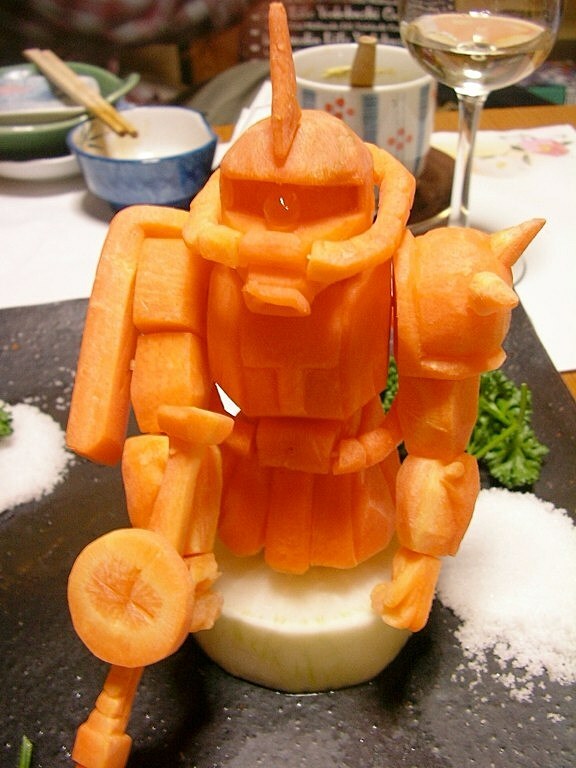 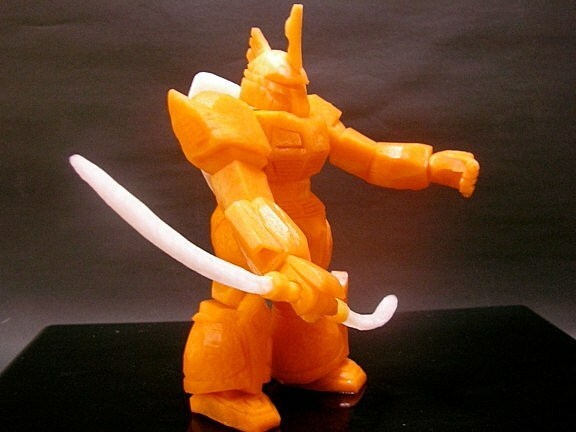 Here at ComicsAlliance we respect any foodie who takes the time to craft a dish in the likeness of one of their favorite characters, but there's something extra special about a Japanese chef who compares sculpting a robot out of vegetables to building a plastic Gundam model kit. 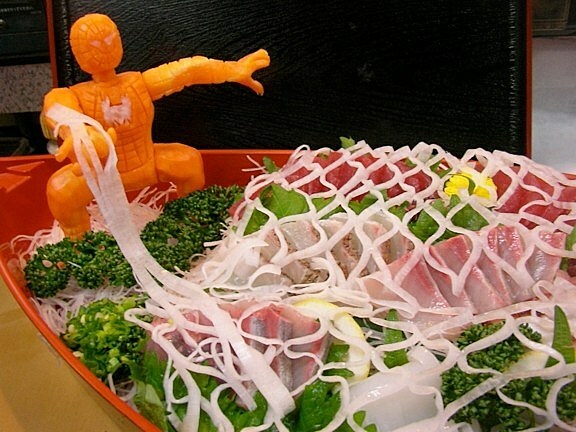 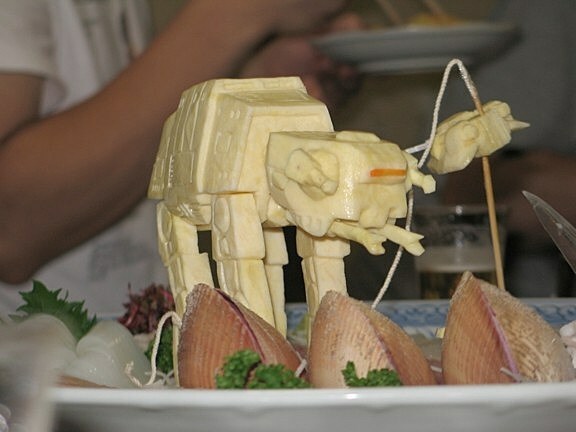 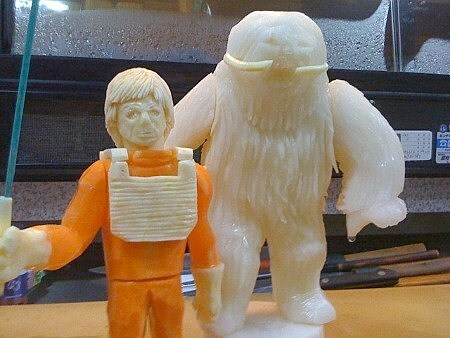 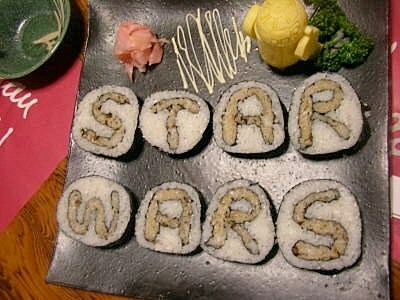 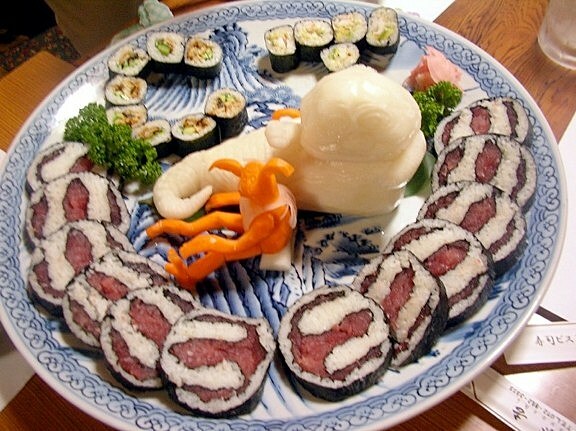 Having posted dozens of intricate dishes that pay homage to comic book superheroes, anime stars and Star Wars characters to his blog, Okistugu Kado comes off as equal parts chef, artist, toymaker and mad genius and Fankind should feel grateful for the fusion. 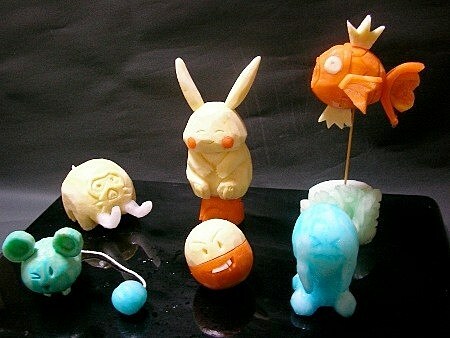 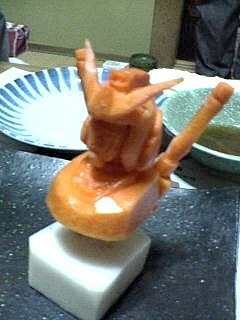 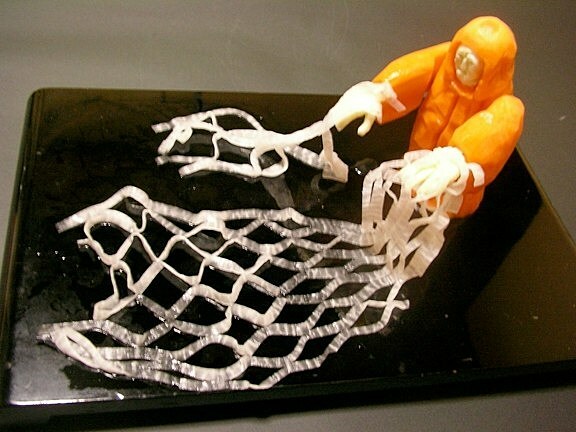 He's even kind enough to share his sculpting skills via quick online tutorials. 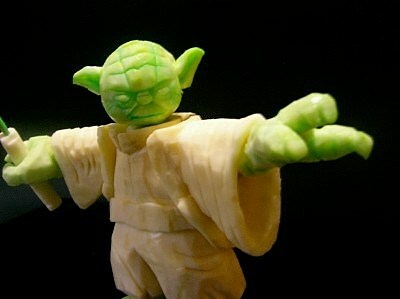 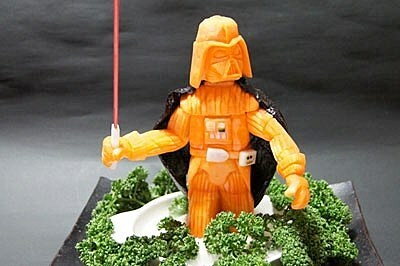 Scope out the chef's intricate works of vegetable art after the cut.